Caption slip reads: "Photographer: Monteverde. Date: 1958-01-16. Reporter: Thackrey. Assignment: Scott and Hoskins. 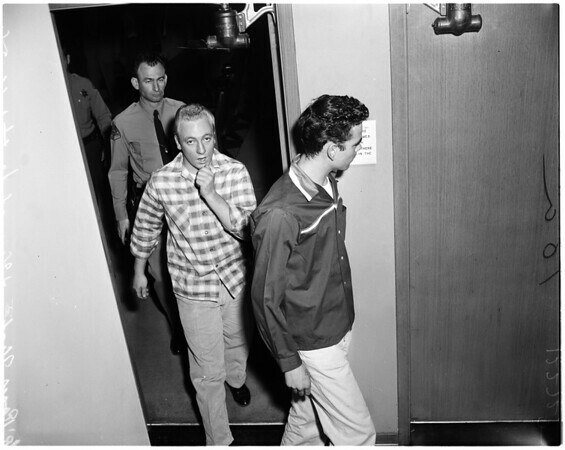 9-10: Kidnap-Bandits, Roger A. Hoskins (blond) and Howard L. Scott (dark hair) at Division I, Inglewood Municipal Court, for their preliminary hearing today. Grab shots".